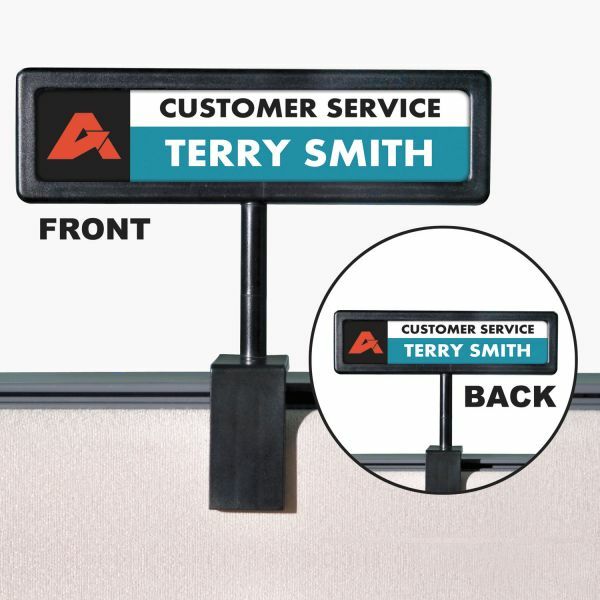 Translucent plastic cover reduces glare and protects the name plate from wear and tear. 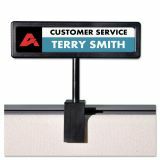 People Pointer Cubicle Sign, Plastic, 9 x 2 1/2, Black - Identify your cubicle with this People Pointer Cubicle Sign. 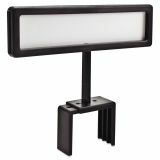 Adjustable base will fit most panel wall partitioning. 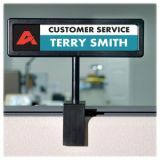 Transparent plastic cover protects nameplate from wear and tear. 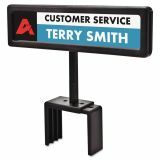 Customize your nameplate with easy-to-use templates that print on laser and inkjet printers. 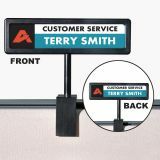 Overall height of sign and base adjusts from 6 1/2 to 8 inches.